This is our reference NY-12645 This studio apartment is located in Midtown West, New York City. 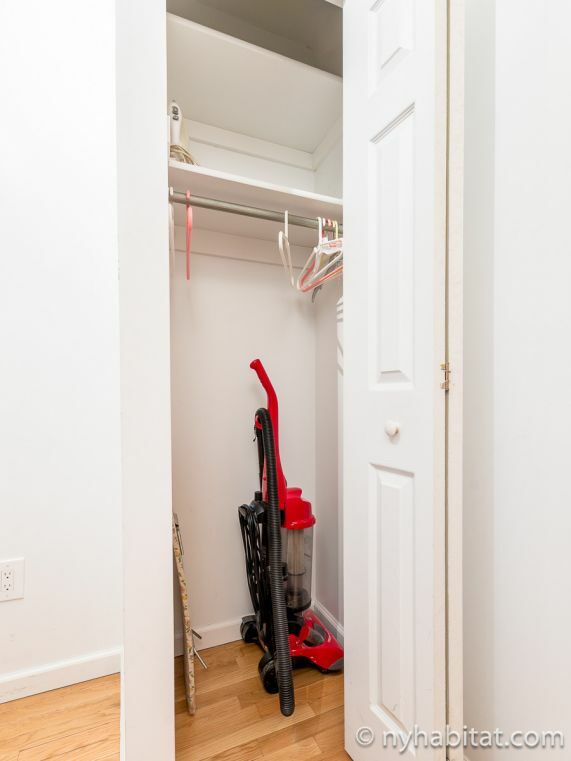 It is located on 40th Street &amp; Eighth Avenue the first floor of a 6-floor walk-up building. There is a double door security system at the entrance. 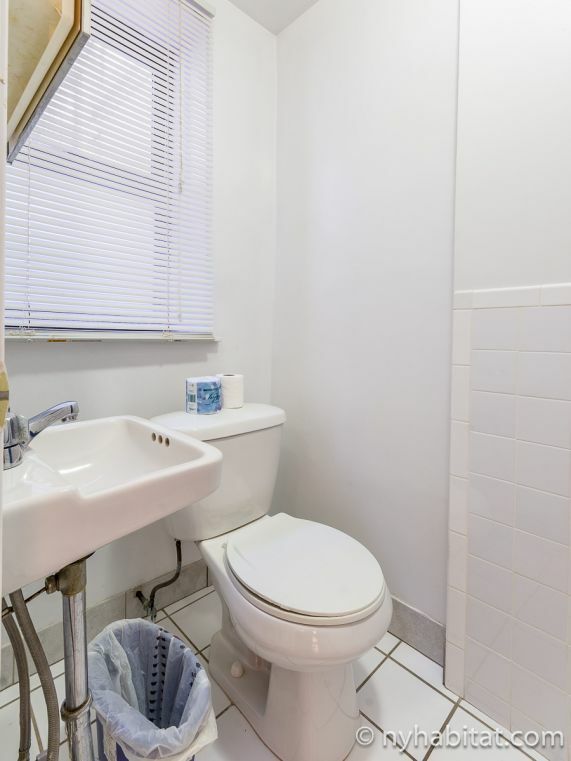 There are hardwood floors throughout the apartment. 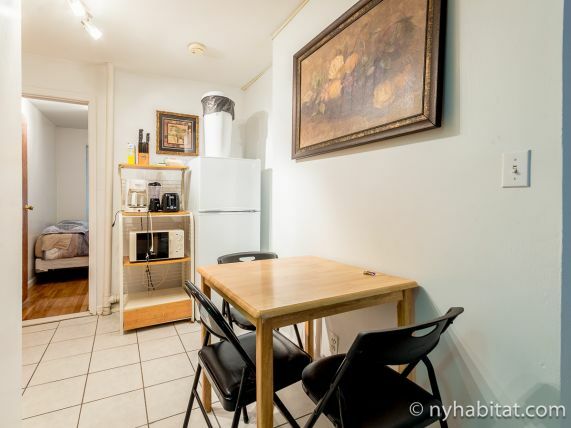 The Manhattan studio is approximately 250 sq. 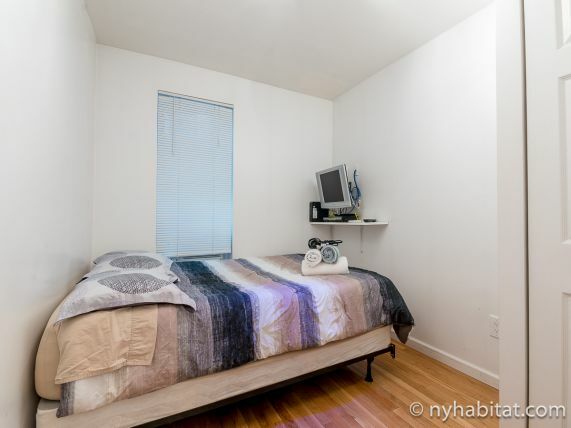 ft. and is furnished with a double sized bed and dresser. There is a mounted flat screen television in front of the bed, with complimentary cable and wifi. 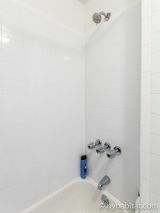 There is an air conditioning unit to cool the space during the summer. 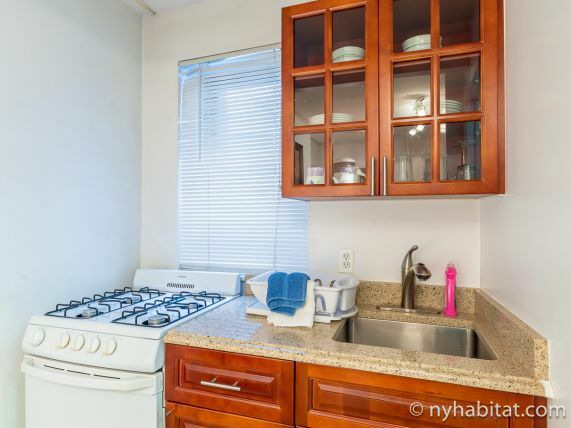 The open kitchen has a 4-burner gas stove/oven, and refrigerator/freezer combination. 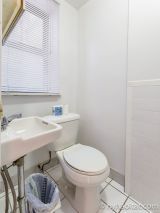 A microwave, coffee maker, and toaster are also provided. Pots, pans, and cooking utensils are provided. 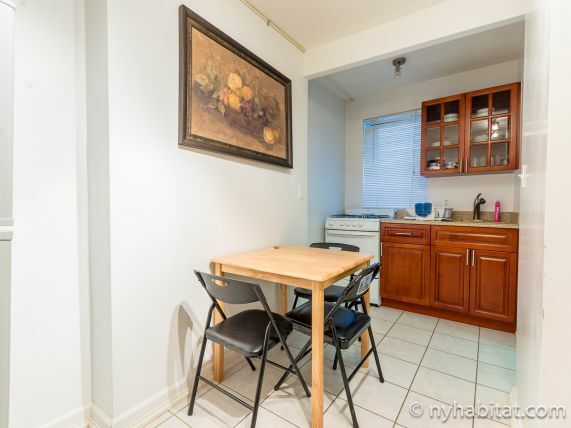 A wooden table seating 2 people is in the corner of the kitchen. The bathroom has a small bathtub/shower. Bed linens and towels are provided. 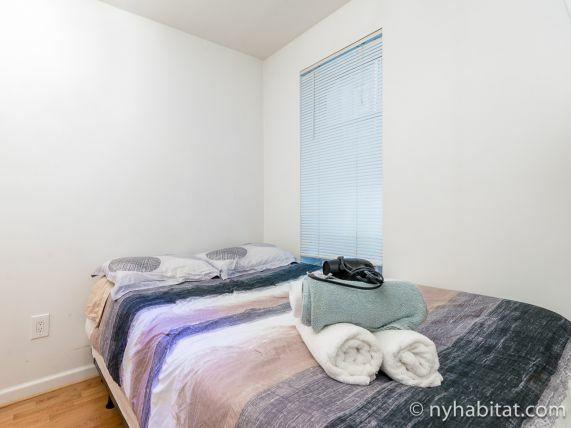 Times Square, K-Town, and New York&rsquo;s famed Fashion Avenue are all near this studio making it very convenient for the best New York sightseeing. The world famous Macy&rsquo;s at Herald Square is just an avenue and 6 streets from the apartment (0.6mi/1km). 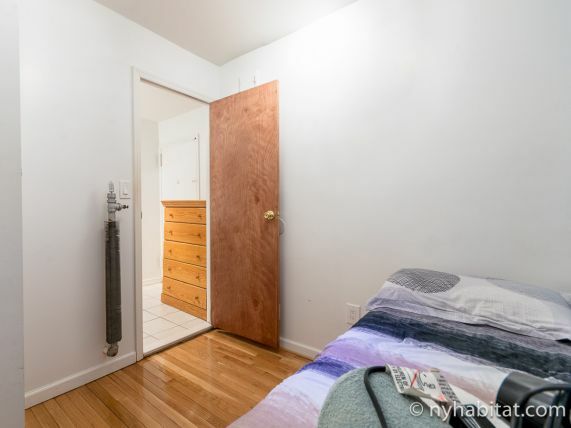 Please note that this apartment is located 2 blocks from Times Square (0.4mi/600m) and 1 block from Port Authority Bus Terminal (0.1mi/170m) which can sometimes be noisy from both foot and auto traffic. This area of Midtown West, NYC includes numerous nearby subway lines and buses to take you anywhere in New York City and the surrounding areas. The two nearest stations are 42 Street / 7 Avenue / Broadway : Times Square serving lines 1, 2, 3, 7, N, Q, R, S. (0.2mi/400m) and 42 Street / 8 Avenue : Port Authority Bus Terminal serving lines A, C, E. (0.4mi/650m).